Another week without attention paid to your resume. You are applying for jobs that match your education and skills; you have a nicely formatted document; and you have outlined your work experience very well with bolded headings and bullet points like you were told to do. You’re qualified but just can’t manage to get that call for an interview. Could there be that many people more qualified than you? Maybe not. There may be some flaws in your resume you have not realized. Here are 20 tips that can improve your resume. It’s a common error; job seekers are trying very hard to list all of their responsibilities for each position. Their thinking, of course, is the more responsibilities, the more qualified they will be. What is more important to employers is the results, what job seekers have actually accomplished. Take a look at the responsibilities you have listed for each position. Can you list any quantifiable results? Did your re-organization save the department $50,000 a year? Sometimes, you may think results will be hard to provide. For example, perhaps you took over a department that had no baseline data to work with to show improvement. And maybe the improvement was qualitative rather than quantitative. Take employee morale, for instance. You know you improved it when you took over that department. But how was the improvement measured? Maybe there was much lower turnover or maybe the rate of absenteeism dropped significantly. These are important figures to have. Never leave a position without gathering figures that support your results. A lot of space was spent on this item. Why? Because it is the one thing employers say is usually missing from a resume. This is the primary reason why you need to tweak each resume for every job opening. If you have background in training, administration, HR, and sales/sales management, and are applying for jobs that focus on one of those, then focus your resume in that direction. Spend far more space on that focus area than on others. Generic resumes don’t really work anymore. Change out your keywords based upon two things: the job description and the company’s website. Sometimes, reading through the company’s home page and the “about us” page will give you more keywords to include. And keywords that relate to the position should be placed as close to the top of the resume as possible and included in your cover letter. A statement of your career goals at the beginning of your resume is not advisable. Companies don’t care about your goals; they care about what you “bring to the table.” Switch that out for a short summary of your skills and experience that relate to the position, with four to five sentences only. Microsoft Word or a PDF version of your resume should be the only programs used to submit resumes. Scanning will probably not recognize any other programs, and you will never know your resume was unreadable. Edit, edit, edit. Take out anything superfluous, reduce sentences to phrases, and remove some of your contact information. Employers don’t need your address and don’t include references unless specifically asked to do so. If you are able to edit the resume to one page, that is ideal. But NEVER go beyond two pages unless you are preparing a CV. Not about anything. 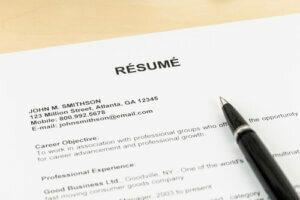 Of course, you want to try to avoid resume mistakes, and of course you want to present yourself in the best light. Exaggerating or giving yourself a job title you did not actually have are big risks. These things can be discovered when references and/or social media are reviewed. Focus on your skills and qualifications completely but honestly. You’ve seen enough resume templates to understand what visual appeal is. The best font now is probably Arial, 12-14 point. The reason for this is there’s good, natural spacing between lines that are not complete and enough white space between bulleted points. Your final resume should have sub-headings in bold (e.g., each position), and a larger font to separate sections of the document. The goal is to make it scannable, not just by a computer program (applicant tracking systems), but by humans, too. No one wants to search for your information. So long as you are not exaggerating, use a job title that will make clear what you did at a previous organization. Sometimes, organizations have internal titles that mean nothing on the outside. So, if you were a “Level II Tech Support,” change that out to “Systems Analyst,” if that was what your position really entailed. Do not use full sentences unless you are crafting a CV (These are prose documents). Brief phrases only, please. Remember – scannable. Don’t rely only on grammar and spell-check programs. They will not recognize incorrect numbers or words that are wrong but are still words. And, in some instances misspellings will not be caught either. If you are really good in this area, read your resume backwards, and you will catch misspellings; read it forward line-by-line. If you are not highly skilled, get someone who is. Having your resume hand-delivered by FedEx or courier is not appreciated, and, in fact, is a bit of a turnoff. Just don’t do it. Submit your resume according to the instructions on the job posting. It is more acceptable today to use some color and graphics than in the past, but these resumes are best suited for younger, more progressive organizations. Tailor color and graphics based upon the culture of the company. If you are not sure, check the website. As a general rule, banks, financial, and educational/scientific institutions are conservative; tech and marketing companies are more progressive. For creative positions, graphics are certainly suitable. Never include past salaries in your work experience. And absolutely never include your salary or benefit requirements for a new position. Epic fail if you do. If you were fired or laid off, never state this in your resume. That is the stuff for discussion during an interview. And don’t lie about it either; be as honest as possible, and never “trash” a former boss or company. Long before submitting resumes, it will be important to have a professional online presence. Include the link to your LinkedIn profile and, if warranted, a website with a portfolio of your work and/or accomplishments. If you have been a guest blogger on relevant sites, provide links to those posts too. It is often advised when you start a new position, you begin updating your resume. This is because you want to be sure to remember all of your accomplishments if and when you decide to make another career move, or if, for any reason, your employment is terminated (companies do close). Keep your resume updated all the time. Lines such as “References available upon request,” are not necessary and just take up space. Leave them out. If you are asked for references or links to things during an interview, you can provide them at that time. The only abbreviation you can use is “U.S.” Otherwise, spell everything out. Even abbreviations for schools attended may not be known by employers. The rule for acronyms is the same; spell them out. This article provides a good checklist for job seekers, whether they are crafting their first resumes ever or if they are veterans with several previous resumes under their belts. Sometimes, it’s the little things that can make a difference. Need assistance with your resume for your job search? Get a free resume critique on College Recruiter. Also, come to our blog and follow us on Facebook, LinkedIn, Twitter, and YouTube. 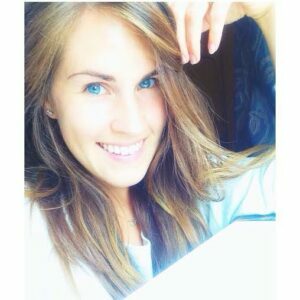 Kerry Creaswood is a young and ambitious writer from Savannah, Georgia. She is fond of various forms of art and thinks everything we can imagine is real. To find more about Kerry, check her Twitter.